Diwali, India’s biggest holiday of the year, is as important to Hindus as Christmas is to Christians and Hanukkah is to Jews. Diwali celebrates the triumph of light over darkness and good over evil. The festival coincides with the Hindu New Year and is known as a time for new beginnings. It celebrates the legend of Lord Rama and his wife Sita who returned to their kingdom in northern India after defeating the demon king Ravanna in the 15th century BC. It also honors Lakshmi, the goddess of wealth, and lanterns are lit to guide her into people’s homes. This is where the name Diwali is derived from – rows (avali) of clay lamps (deepa). The festival is celebrated for five continuous days, and the third day the main Diwali festival or ‘Festival of Lights’. Day One – On the first day of Diwali, family members spring clean the home and shop for gold or kitchen utensils. 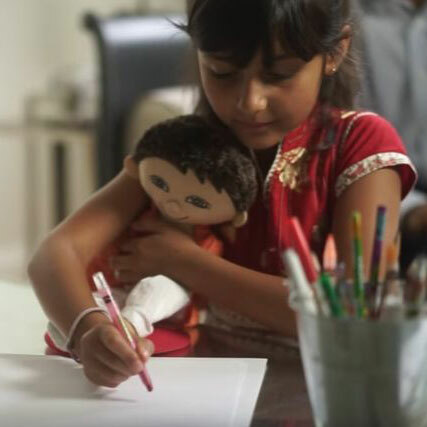 Day Two – On the second day of Diwali, people decorate their homes with clay lamps and create design patterns called rangoli on the floor using colored powders or sand. Day Three – The third day of Diwali is the main day of the festival. Families gather together for Lakshmi puja, a prayer to Goddess Lakshmi followed by a feast and fireworks. 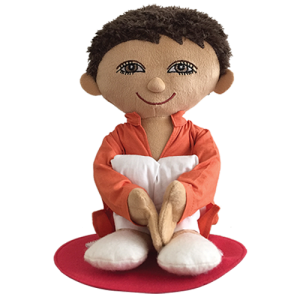 Day Four – The fourth day of Diwali is the first day of the new year. This is when friends and relatives visit each other with gifts and exchange best wishes for the season. Day Five – On the last day of Diwali, brothers visit their married sisters who welcome them with love and a lavish meal. 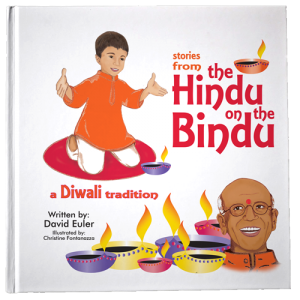 Children enjoy waking up during Diwali to find their smiling Hindu on the Bindu perched in a different spot each morning. 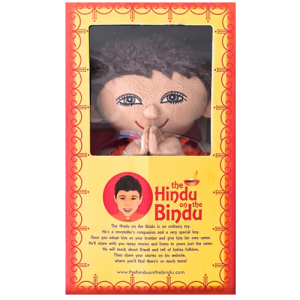 Not only is the Hindu on the Bindu a way for children to help celebrate Diwali but is a welcome addition to their home all year long.